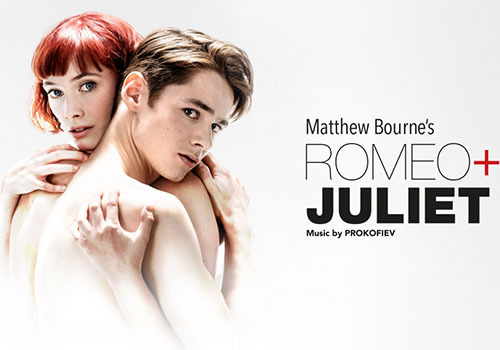 Legendary choreographer Matthew Bourne’s Romeo and Juliet will open at London’s Sadler’s Wells for a limited run from 7-31st August. The show will be a contemporary retelling of the classic Shakespeare tale and join Bourne’s popular New Adventures repertoire, featuring some of dance’s brightest young talent. 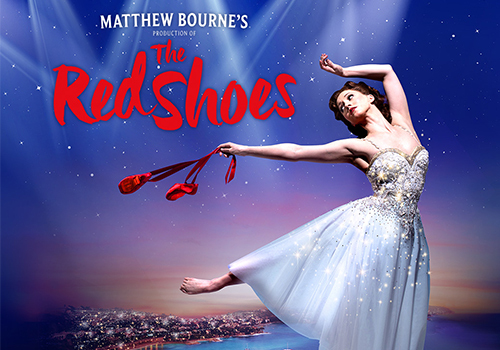 Matthew Bourne's acclaimed dance production of legendary film The Red Shoes returns to Sadler's Wells over the Christmas season. The double Olivier Award-winning show is based on the intoxicating film of the same name and sees life imitate art - with fateful consequences. The Sadler’s Wells theatre Box Office is located within the main Sadler’s Wells Theatre building on Rosebery Avenue and is open from 10am to 8pm. Those collecting tickets from the Box Office may do so from an hour and a half before the performance is due to start. Collectors will need the card on which they made the payment and their booking reference number as proof of purchase. “Sadler’s Wells” as we know it today is the sixth theatre on the site since 1683, with the final theatre re-built in 1998. The name Sadler’s Wells is derived from the original founder of the theatre, Richard Sadler and a well he found underneath the theatre that was thought to bring healing properties. Back in the 17th century, the theatre was popular for its music concerts as well as it’s healing spring! Music continued to characterise the theatre, especially opera, up until the Sadler’s Wells Opera Company (now the English National Opera) moved out of the theatre in 1968. The 18th Century saw veteran clown, Joseph Grimaldi, take to the stage throughout what was essentially a century of comedy and melodrama. Notable performances in the 19th centuries included early productions of A Christmas Carol (1841), a season of Shakespeare plays such as Macbeth (1844) and Anthony and Cleopatra (1849). The Sadler’s Wells Ballet School was established in 1931 and began touring the UK throughout World War Two, thus really putting Sadler’s Wells as a dance house on the map. Following the departure of the Opera Company in the late 60’s, Sadler’s Wells started to delve further into the world of dance, realising after the failure of their second Opera Company that dance was the venues niche. Matthew Bourne’s Swan Lake first performed at Sadler’s Wells in 1995 before touring, which again drew attention to the theatre as a dance house. The theatre was rebuilt in 1998 and opened with the Rambert Dance Company’s Lolanthe. Since the grand reopening the theatre has exclusively hosted movement and dance performances and regularly host performances from Rambert, Northern Ballet Theatre, Birmingham Royal Ballet and the Scottish Ballet. In 2019, two Matthew Bourne productions with play. A brand new production of Romeo + Juliet will play in the summer, and The Red Shoes triumphantly returns for the Christmas season.